Casa Mono is a certified green restaurant with 158.67 total Green Restaurant Association points. The restaurant's "green" efforts include, with regard to water and energy, their use of Energy Star dishwashers, low-flow faucet aerators in hand washing sinks, and low-flow, pre-rinse spray valves in the dishwashing stations. 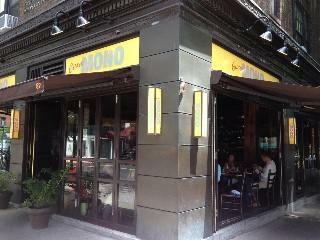 Furthermore, Casa Mono uses 100% recycled paper goods and reusable table linens and does not serve bottled water. Pre- and post-consumer waste is composted, and cardboard, plastic, paper, glass, and aluminum are recycled.